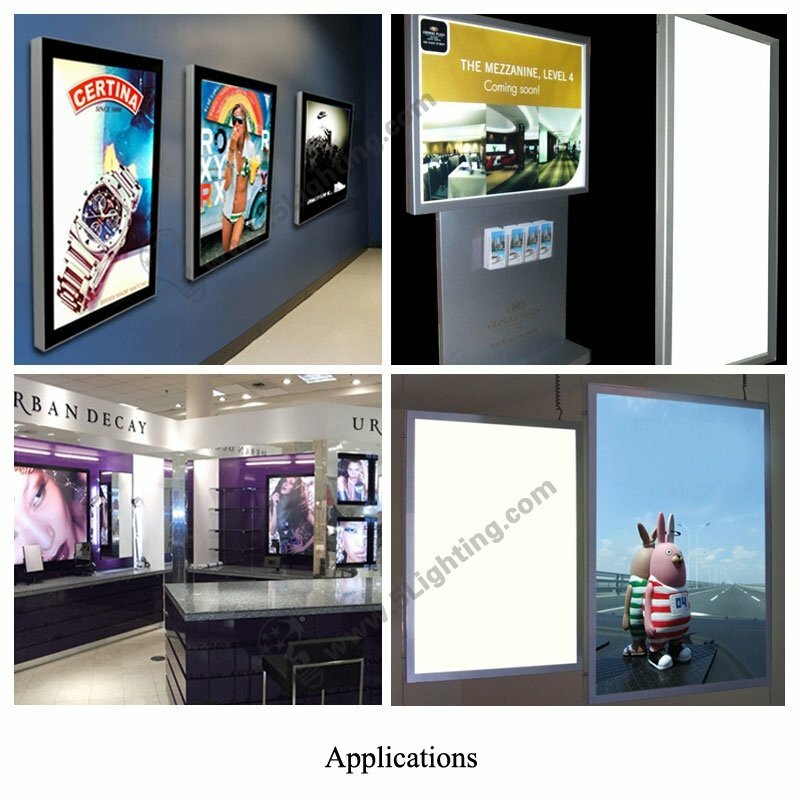 Application: Suitable for ultra thin lighting box, slim signage light boxes. 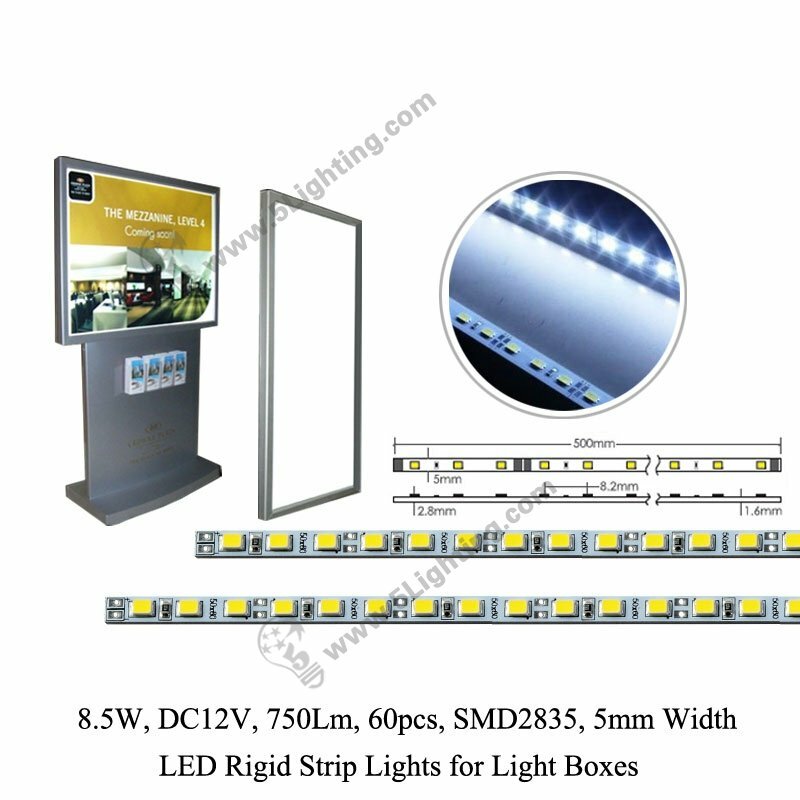 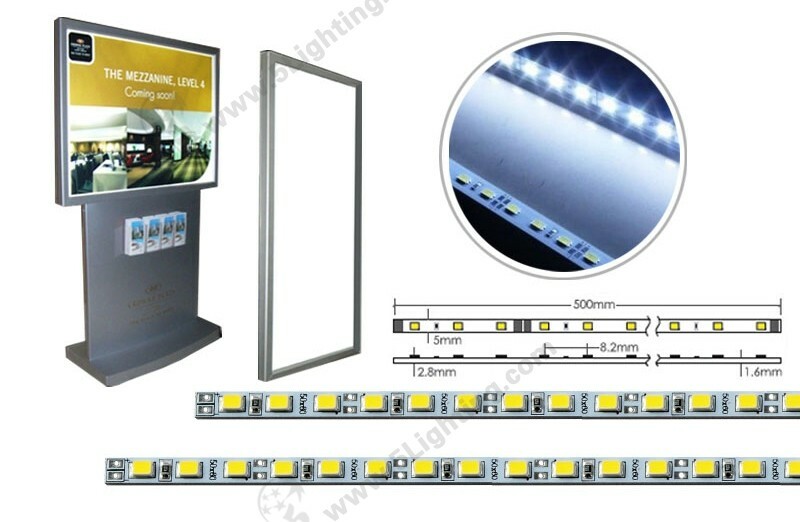 : General edge lighting: Slim advertising signage, Ultra thin light boxes, Channel letter lighting, Concealed lighting, Emergency & security signage lighting, Signage letters backlighting, Bus station board lighting etc. 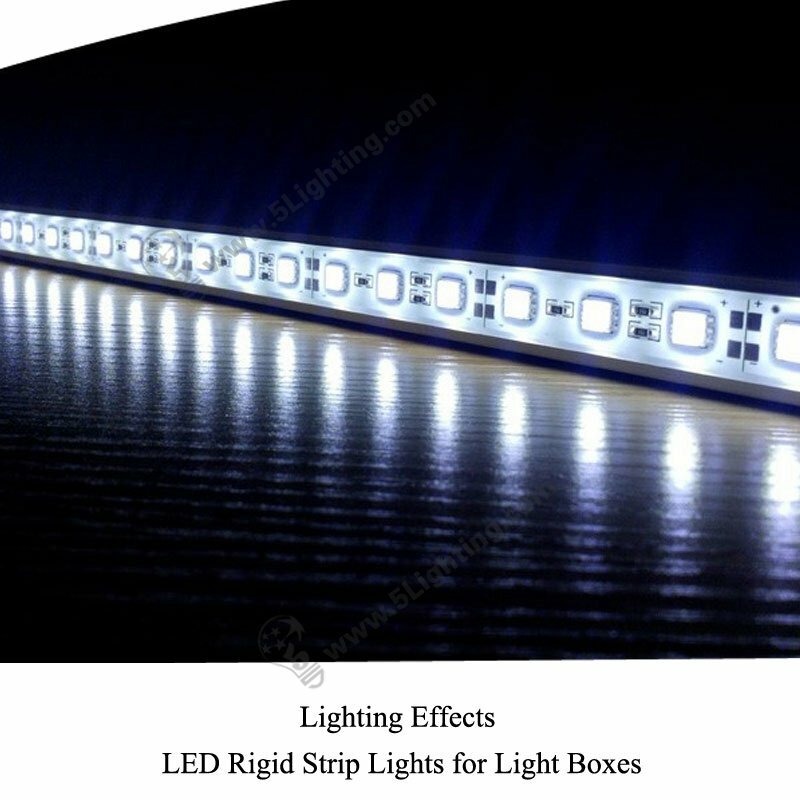 : Other indoor decoration lighting: Home, Office, Hotels, Bank, Clubs, Boutique, Shopping malls, Tradeshow or exhibition, Auditorium walkway, Path & Contour marking, Stairway, and other indoor architectural decorative lighting etc. 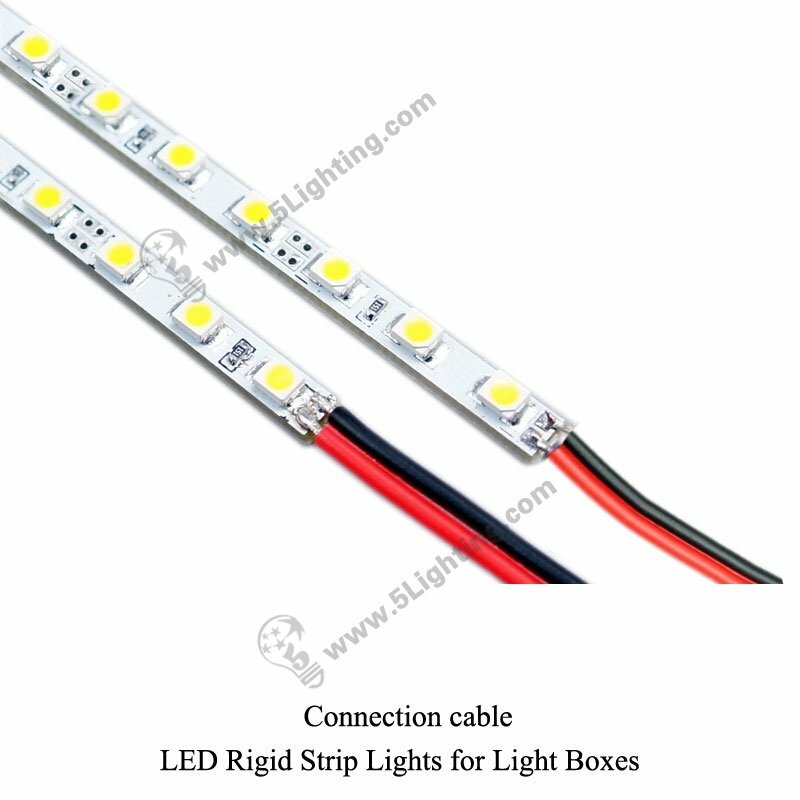 Good quality light box LED rigid strip 5mm from 5 star lighting factory ! 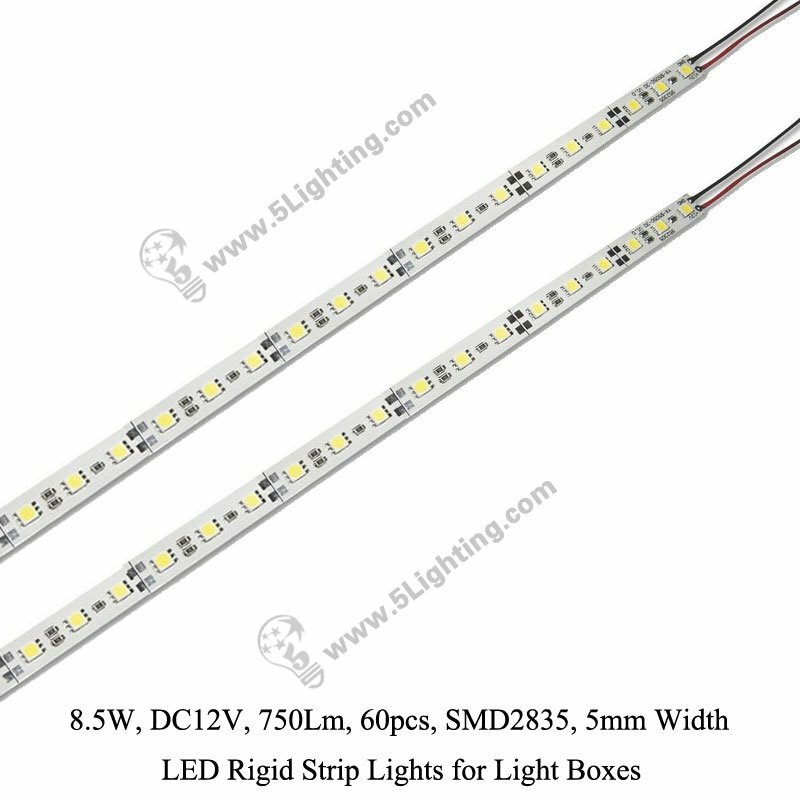 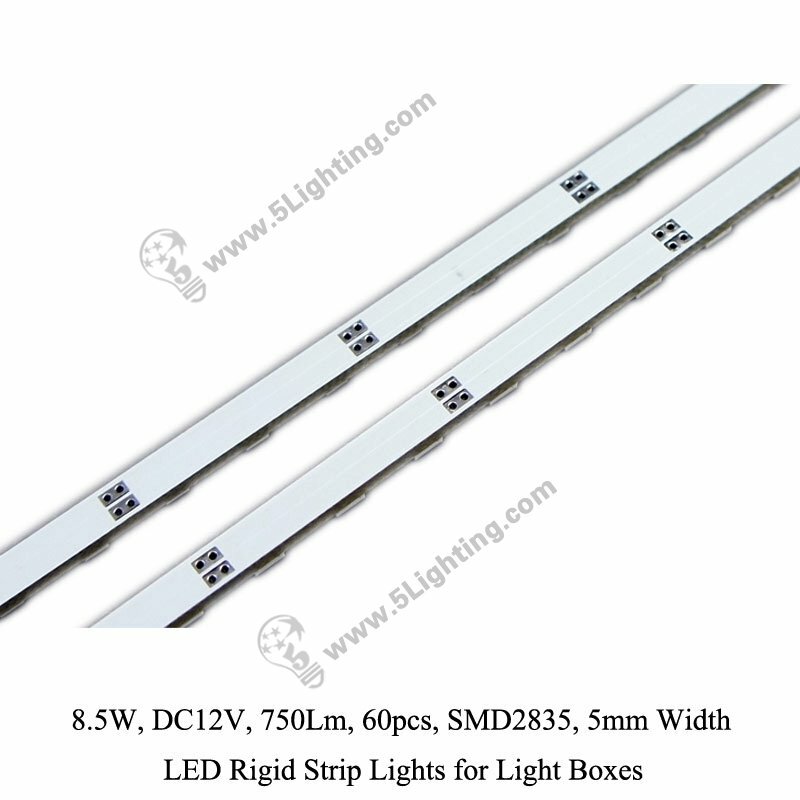 8.5W, DC12V, 750Lm, 60pcs SMD 2835 LED Chips, 5mm width, LED Rigid Strip Lights for ultra thin light boxes.